Contact our experienced Mesa DUI Lawyers when you are charged with a DUI or with a crime in Mesa, Arizona. It is important to realize that time is of the essence. Every second you don’t call a Mesa DUI lawyer provides prosecutors and the police more time to build a case against you. Don’t face the Arizona criminal justice system alone! Contact an experienced DUI attorney before you take any other step. Thus, being convicted of a DUI in Arizona is no joke. Unlike many other states, the DUI laws in Arizona come with extremely harsh consequences. In 2012, 34% of all traffic fatalities in Arizona were alcohol-related. If you don’t have effective representation when facing DUI or DWI charges in Arizona, it could mean jail time, expensive fines, and the social stigma that comes with a conviction of Driving Under the Influence. Don’t chance your freedom unrepresented, contact our Mesa DUI Lawyers for premium criminal defense in Arizona. 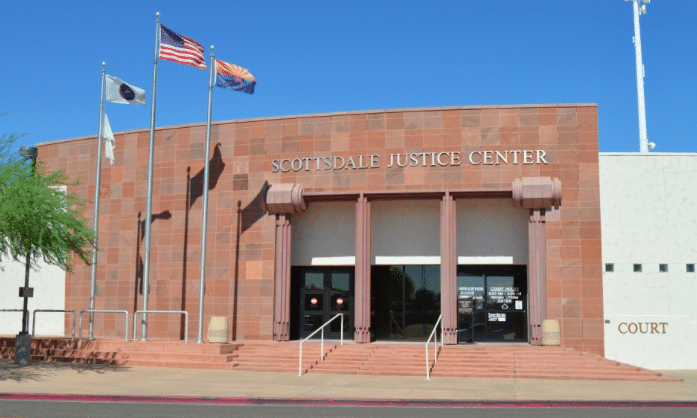 Our Criminal Defense Attorneys in Mesa offer free consultations. $500 Down Starts Your Case! CALL (480) 833-8000. Free Consultations either in office or over the phone. Set an appointment with our Mesa DUI Lawyers now. Our experienced defense attorneys will give you a free, confidential case evaluation and advise you of the options available to you regarding your defense. A DUI in Mesa, Phoenix, Scottsdale, or Tempe can change your life forever. Therefore, you need the best DUI lawyers representing you. Without trusted representation, you could pay for this unfortunate mistake for a long time. When it comes to drunk driving our society (and the State of Arizona) has gradually become tougher on DUI and DWI offenses over the years. If you are facing drunk driving charges, call our Mesa DUI Attorneys’ office today. Get a qualified expert on your side right away. Don’t wait to seek representation as time is of the essence when it comes to fighting a drunk driving charge. If you have been arrested and charged with DUI or EXTREME DUI (Driving Under the Influence) in Arizona, you need to contact an attorney to represent you. The attorneys at My AZ Lawyers are experts in Arizona DUI law and procedures, and will use this knowledge and experience dealing with Arizona DUI cases to protect clients and their rights. Our staff will work aggressively to review your case and prepare a defense in order to either get your case dismissed, or to get you the best possible desired outcome. The Arizona DUI laws are not only stringent, but somewhat complex and can be confusing. As a result, if you are arrested for DUI, you still have rights; however, you need a knowledgeable Arizona DUI law attorney to protect and assert those rights. A DUI in Arizona is costly: it will cost you money, your license, time, possible loss wages, even your reputation. Therefore, we will examine every aspect of your case in order to determine a reasonable and assertive defense. In addition, My AZ Lawyers focuses on the details of your case and builds a strong defense by scrutinizing evidence and any relevant factors in your case. Our Mesa Criminal Defense lawyers focus on devising the best defense strategy to fight your charges and get your life back. The years of experience and knowledge of the Arizona DUI laws make our Mesa DUI lawyers the team you want working for your defense. Therefore, if you are facing drunk driving charges in Arizona, seek legal help right away. Driving Under The Influence (DUI) With Drugs Or Metabolite: The Arizona Law dealing with Drug DUI A.R.S. §28-1381 (A)(3) : prohibits driving or being in “physical control” of a vehicle while there is any drug or its metabolite in a person’s body. Driving under the influence of drugs cases have received much more attention in the past few years in Arizona. More and more prescription drugs are being prescribed. As your family members, friends, and neighbors take more prescription medications, the rate of becoming addicted to illegal drugs rises, so does the prosecution of DUI drug cases. In Mesa and throughout Arizona, it is illegal to drive with a metabolite of certain drugs in a person’s body. Metabolites are what remains after the body uses up the drug. These drugs are what are known as illegal drugs or illicit drugs. Therefore, it is possible to still receive a dug DUI if some of the drugs you used earlier still remain in your system. Illegal drugs or narcotics are the drugs we all know (cocaine, marijuana, methamphetamine, heroin etc.). An illicit drug is a legal prescription drug that is possessed by somebody who does not have a valid prescription to consume or possess those drugs. In Arizona, it is irrelevant whether or not you are impaired while operating a vehicle as DUI Drugs is a strict liability crime. For example, if you smoked marijuana 30 days prior to driving and the metabolite is still in your system, you can be cited for DUI Drugs in Arizona. You need expert Arizona DUI representation and consultation immediately after a DUI arrest. Therefore, you should contact My AZ Lawyers are available to speak to you now about these serious charges. Call for a FREE CASE EVALUATION : you will better understand your situation and be able to make better decisions about the arrest after you consult with an attorney. Mesa DUI Lawyers and Criminal Defense Attorneys. Let us fight for your freedom.